A team of researchers from John Stroger, Jr. Hospital of Cook County has discovered that the omentum, an often-overlooked organ and abundant source of stem cells, may be used to heal ailing kidneys. 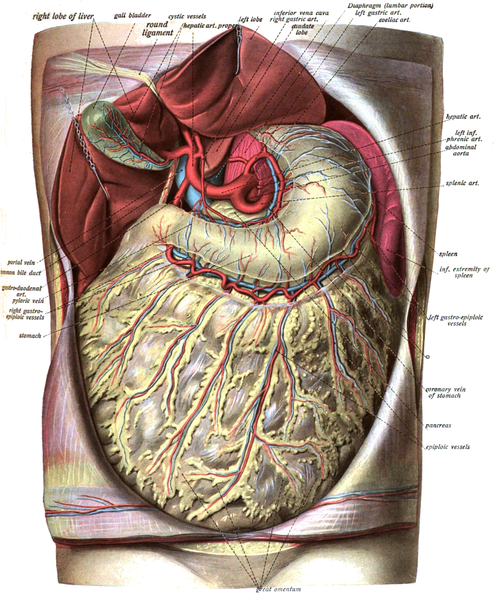 The omentum is a large fold of the peritoneum, made of fatty tissue that hangs from the stomach like an apron, covering the intestines and organs in the abdominal area. It stores fat, contributes to immunity and is responsible for protection during infection, often wrapping itself around an inflamed appendix. Working with rats, the scientists attached the omentum to the kidneys to allow close contact between the stem cells and the diseased organs. After 12 weeks, CKD progression had slowed. The researchers found less glomerular scarring and evidence of increased expression of growth factors related to kidney repair. The study shows that prolonged contact with one’s own stem cells may one day be a viable treatment for kidney disease. Further research is needed to discover more about the mechanism behind the healing process and whether it could work in humans.